The Blue Screen of Death generally appears when Windows encounters any critical error due to software or hardware issues, displaying a sad face and no information other than "Your PC ran into a problem." Windows 10 too has the Blue Screen of Death (BSOD) or Stop Error screens that appears when you are in middle of something, upgrading the operating system, when booting or simply working on your PC. 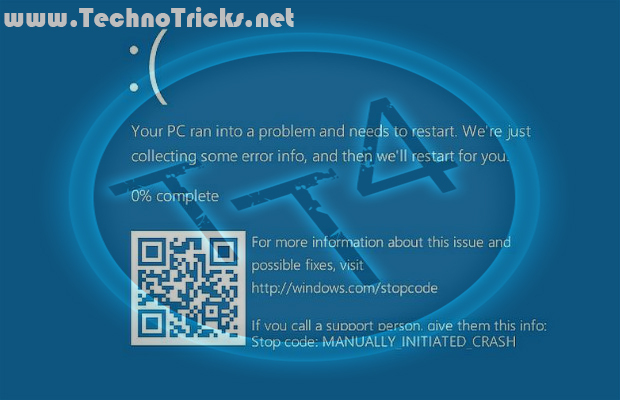 While some are facing Black Screen problem, a few are facing BSoD problems. We take each scenario and explain what to do in each case. Microsoft is adding QR code to its Blue Screen of Death (BSOD) in Windows 10 that will make it easier for users to identify potential issues with their devices. The new QR codes are featured in the Redmond's latest Windows 10 Preview, Build 14316, which will debut this summer as the Windows 10 Anniversary Update. You would be able to scan this code with your smartphone and be directed to a Web page that could include the details on the encountered error. You could also call Microsoft support to figure out the problem by determining the source of the bug based on the specific QR code and even help you troubleshoot or fix it. The BSOD QR codes are expected to come out this summer when Microsoft releases the Windows 10 Anniversary Update. 1) The most important Blue Screen of Death troubleshooting step you can take is to ask yourself what you just did. Did you just install a new program or a piece of hardware, update a driver, install an update, etc.? If so, there's a very good chance that the change you made caused the BSOD. 2) Check that there's enough free space left on the drive Windows is installed on. Blue Screens of Death and other serious issues, like data corruption, can occur if there's not enough free space on your primary partition used for the Windows operating system. 3) Scan your computer for viruses. Some viruses can cause a Blue Screen of Death, especially ones that infect the master boot record (MBR) or boot sector. Note: Make sure your virus scanning software is completely up to date and that it's configured to scan the MBR and boot sector. 4) Apply all available Windows service packs and other updates. Microsoft regularly releases patches and service packs for their operating systems that may contain fixes for the cause of your BSOD. 5) Update drivers for your hardware. Most Blue Screens of Death are hardware or driver related so updated drivers could fix the cause of the STOP error. 6) Check the System and Application logs in Event Viewer for errors or warnings that might provide more clues on the cause of the BSOD. 7) Return hardware settings to default in Device Manager. Unless you have a specific reason to do so, the system resources that an individual piece of hardware is configured to use in Device Manager should be set to default. 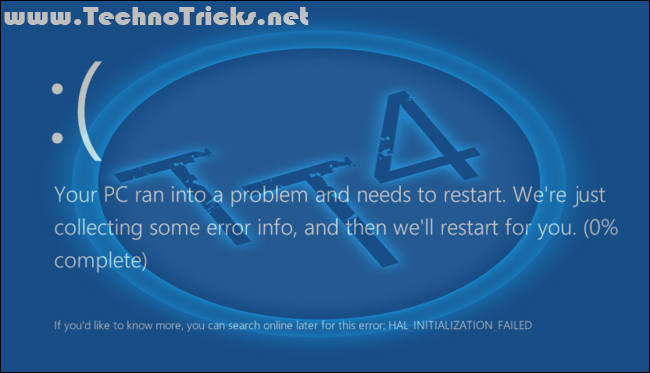 Non-default hardware settings have been known to cause a Blue Screen of Death. 8) Return BIOS settings to their default levels. An overclocked or misconfigured BIOS can cause all sorts of random issues, including BSODs. Note: If you've made several customizations to your BIOS settings and don't wish to load the default ones then at least try returning clock speed, voltage settings, and BIOS memory options to their default settings and see if that fixes the STOP error. If a test fails, replace the memory or replace the hard drive as soon as possible. 11) Update your BIOS. In some situations, and outdated BIOS could cause a Blue Screen of Death due to certain incompatibilities. 12) Start your PC with essential hardware only. A useful troubleshooting step in many situations, including BSOD issues, is to start your computer with the minimum hardware necessary to run the operating system. If your computer starts successfully it proves that one of the removed hardware devices was the cause of the STOP message. Tip: Typically, the only necessary hardware for starting your PC through to the operating system includes the motherboard, CPU, RAM, primary hard drive, keyboard, video card, and monitor.